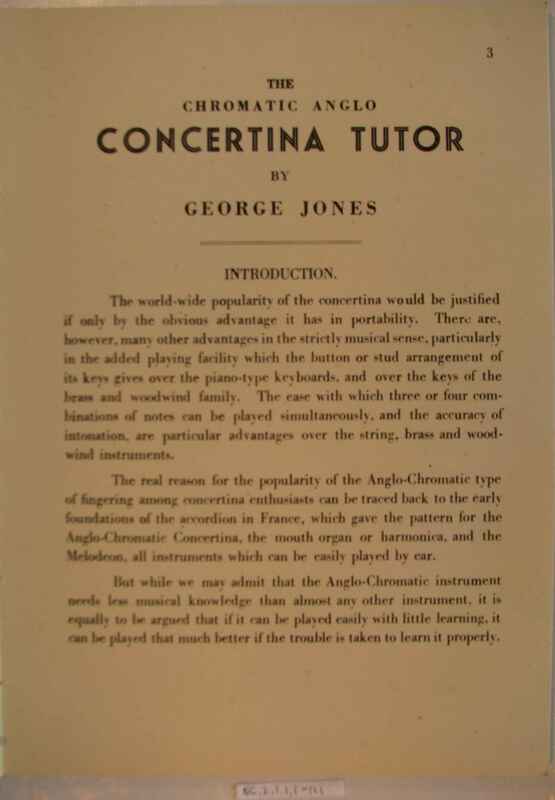 Full Description: Minting Tutor Books: The Wheatstone George Jones Chromatic Anglo Tutor. 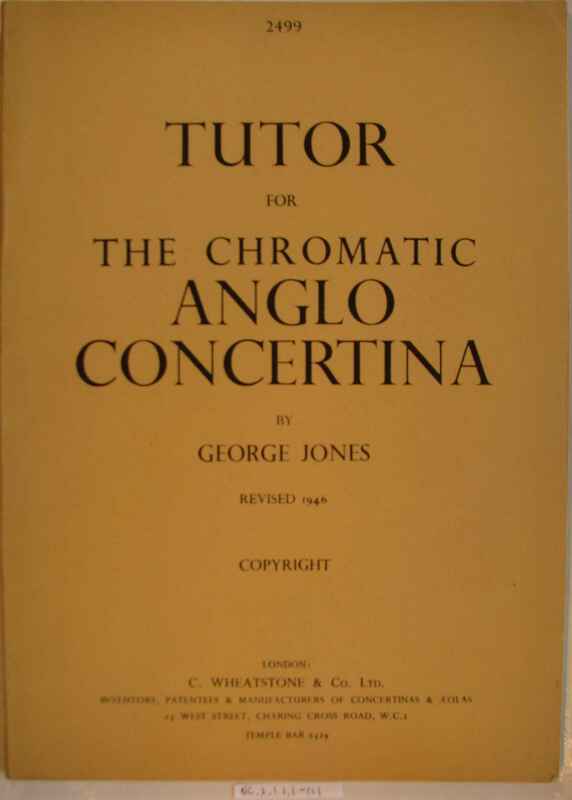 There are three copies of this tutor for the Chromatic Anglo concertina, probably part of Mr Minting's stocks at his West Wickham music shop. They are imprinted "by George Jones, Revised 1946, Copyright", and published from the West Street address.